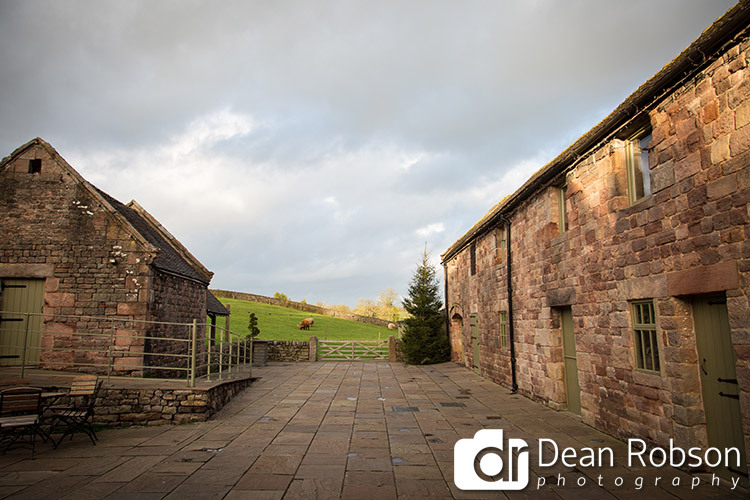 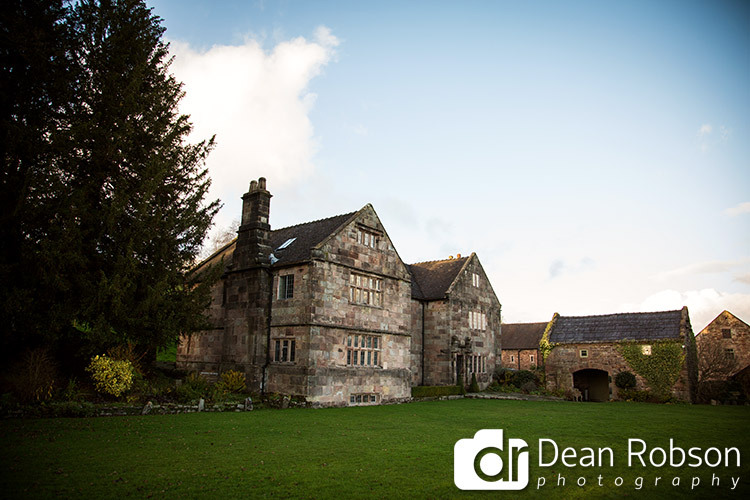 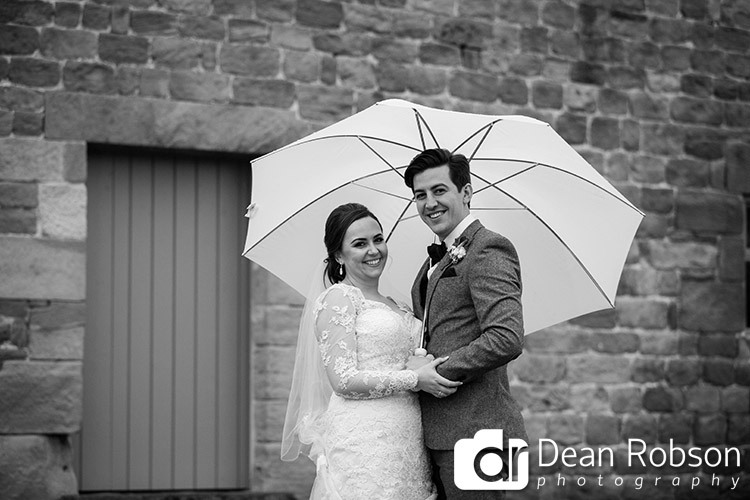 The Ashes Barns Endon Wedding Photography: On Saturday I was in Staffordshire photographing Lucinda and Spencer’s wedding which took place at the Ashes Barns (https://theashes-venue.co.uk/) near Leek. 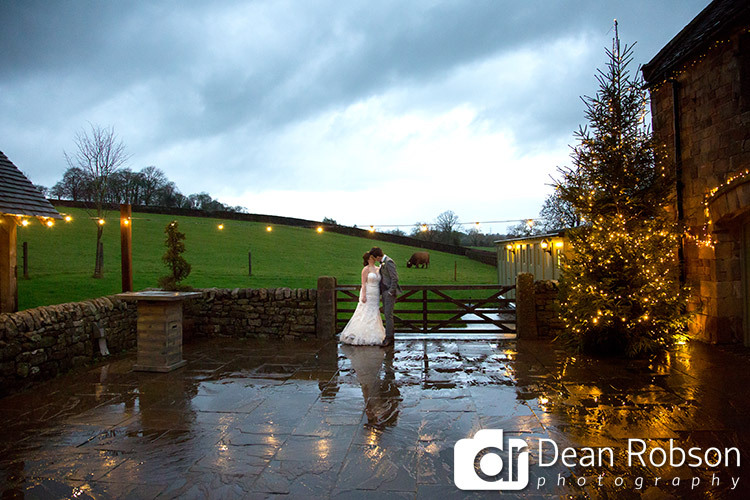 The weather forecast was for a dry morning and heavy showers in the afternoon. 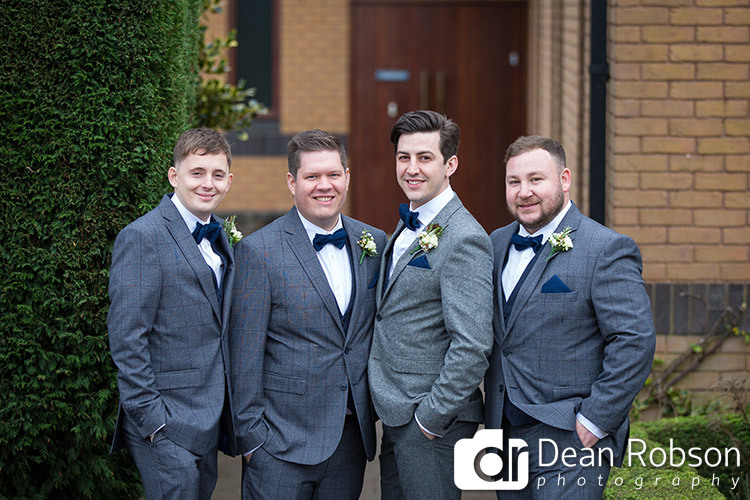 I met up with the groom and his best men in Leek where they were all getting ready. 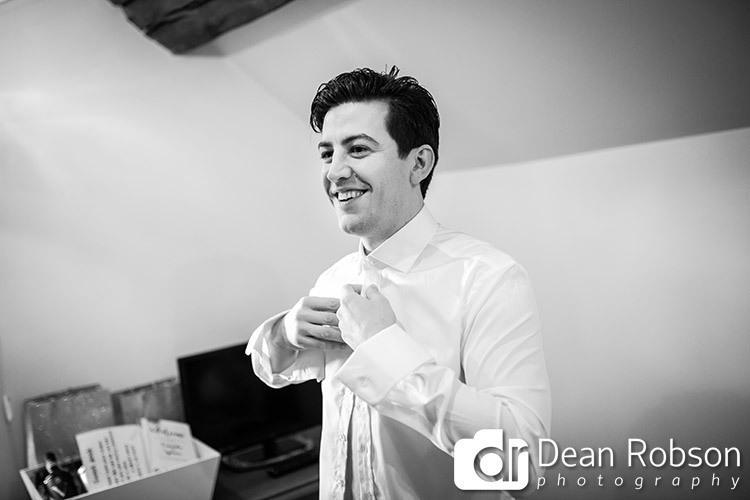 Spencer, the groom is my fiancée’s cousin which was fun for me shooting a family wedding. 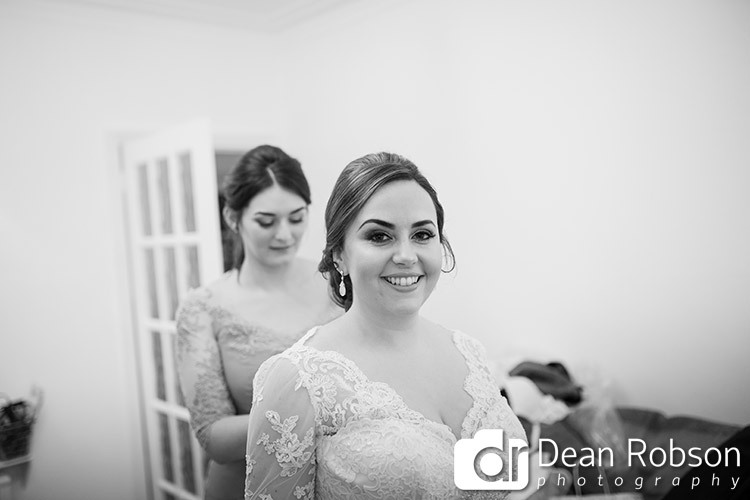 I then made the journey to Newcastle-under-Lyme where the bride and bridesmaids were getting ready. 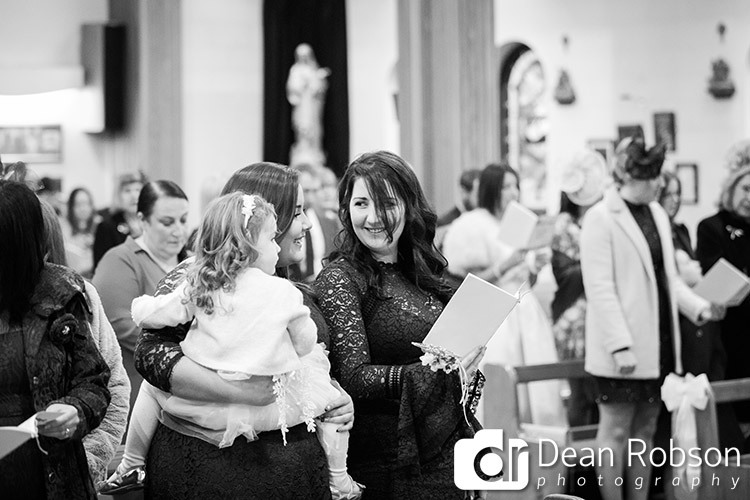 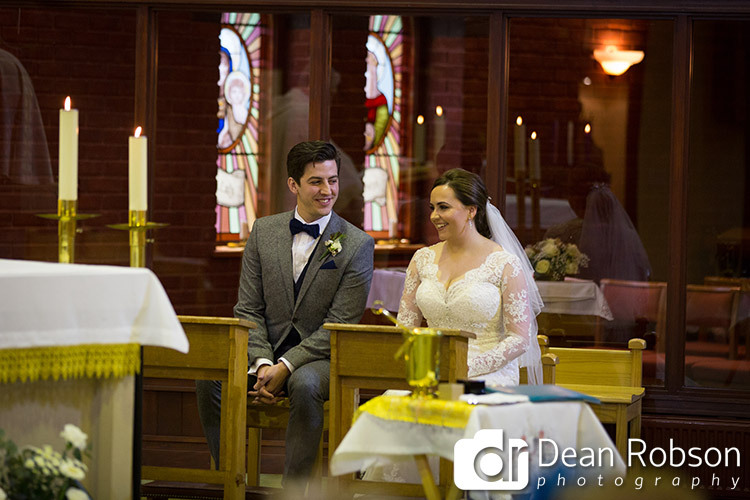 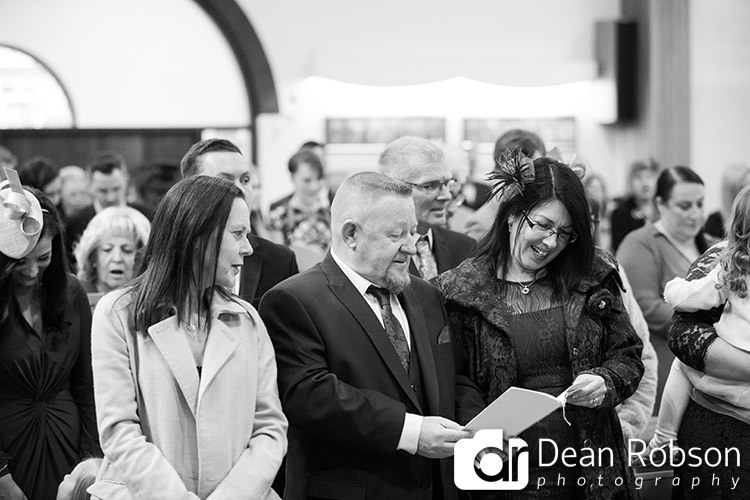 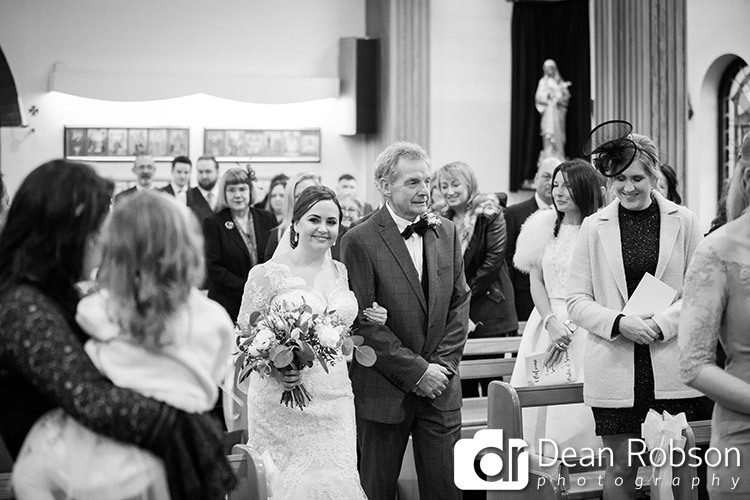 The ceremony was taking place at Our Lady & St Werburgh Catholic Church in Newcastle-under-Lyme. 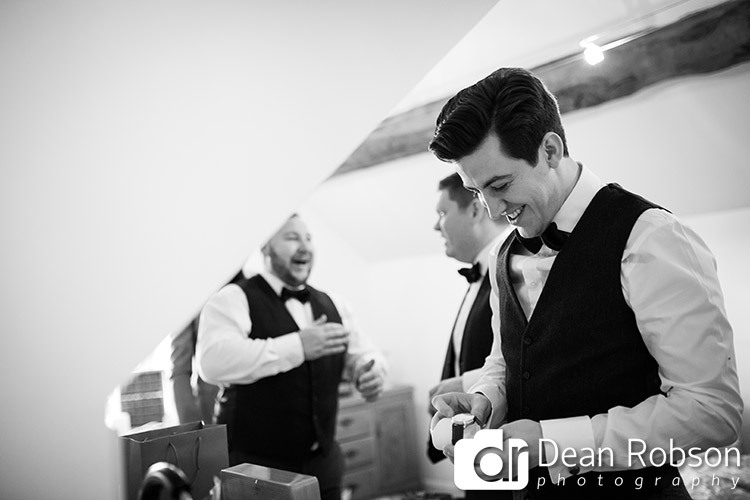 I caught up with the grooms men for a few photographs before the bridal party arrived. 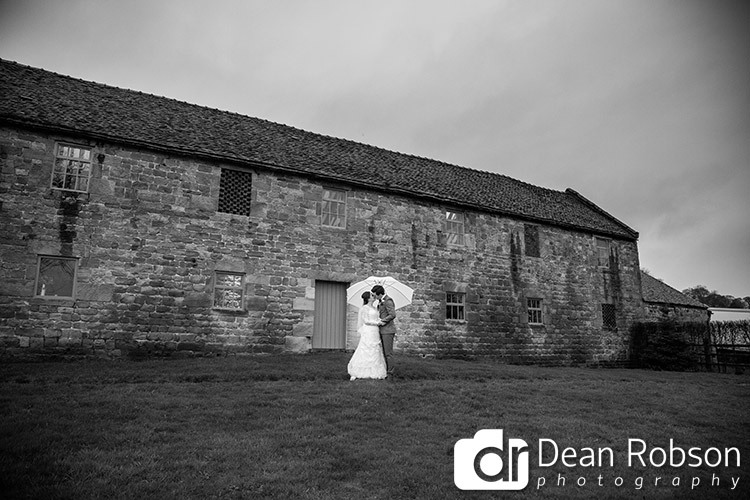 As it was raining we had the group photographs inside the church, before making our way to Endon and the Ashes Barns. 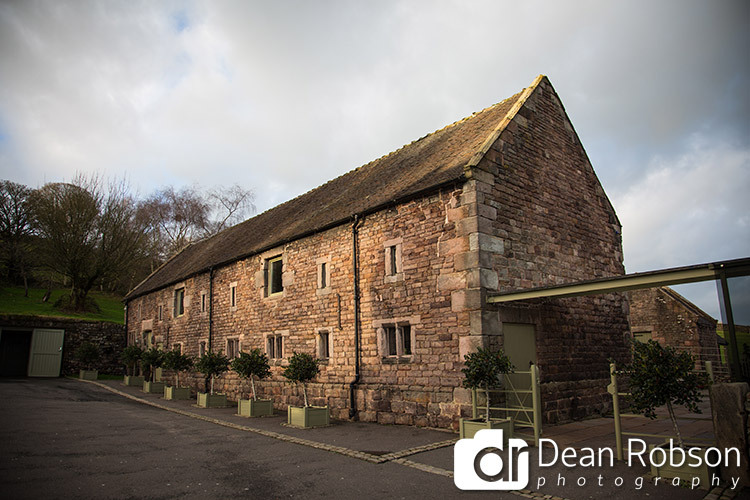 The Ashes Barns wedding venue is beautiful and a private, family-run, in a gorgeous fifty acre estate, at the foothills of the Peak District National Park. 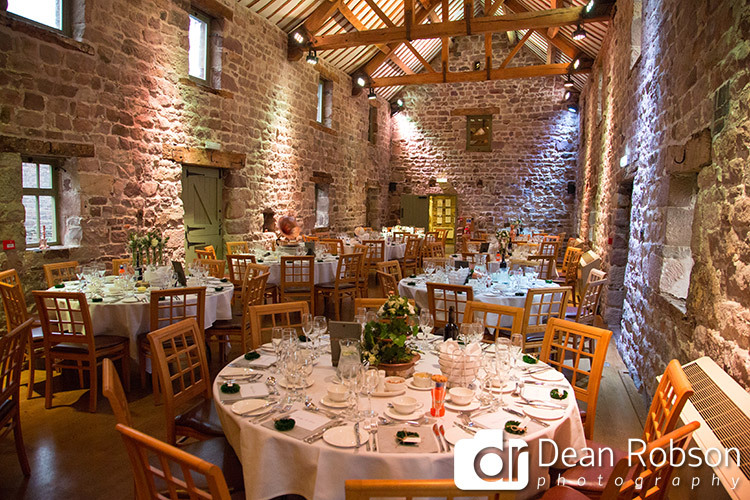 The drinks reception took place in the West Barn. 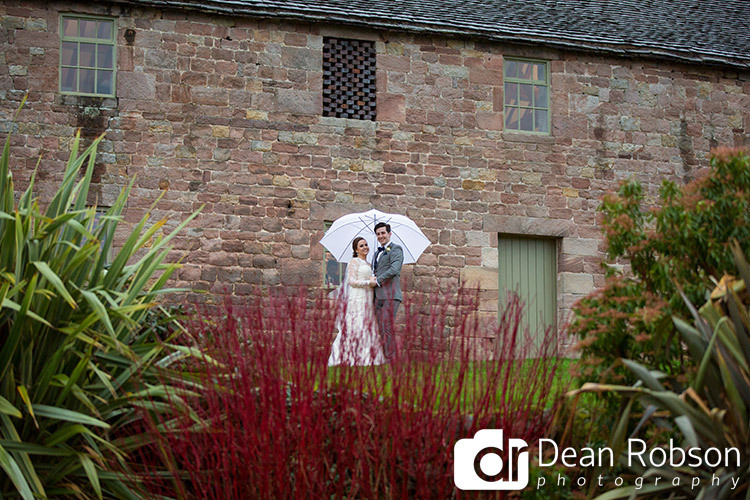 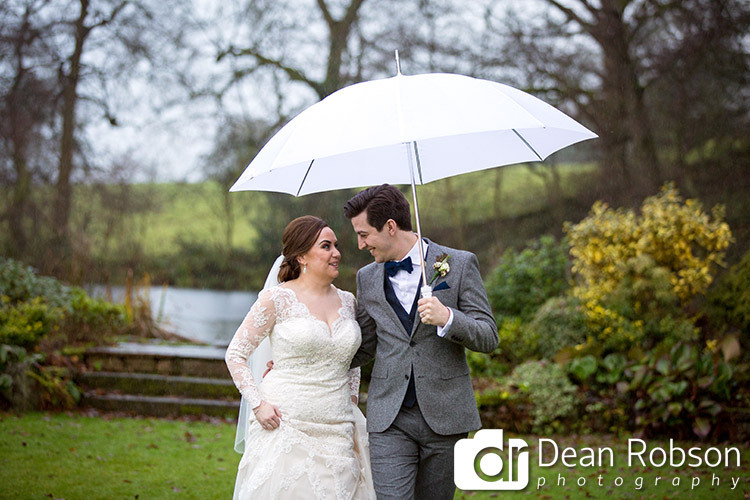 We ventured outside for the wedding portraits, it was light rain and we took the umbrellas! 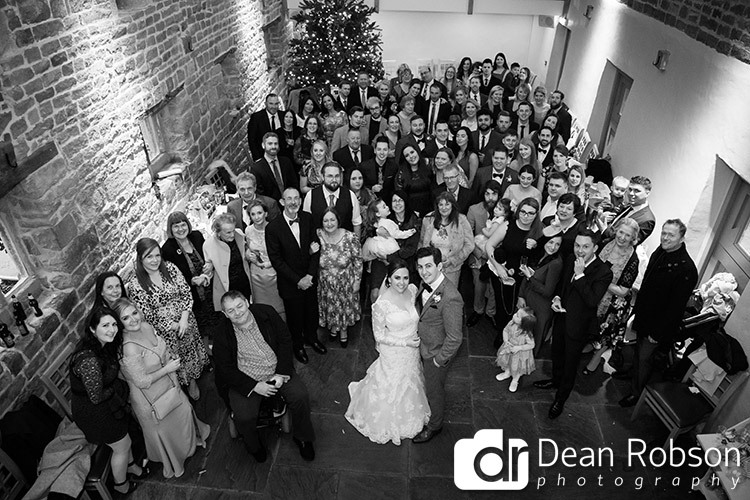 The balcony was useful and we were able to do the big group photograph after all. 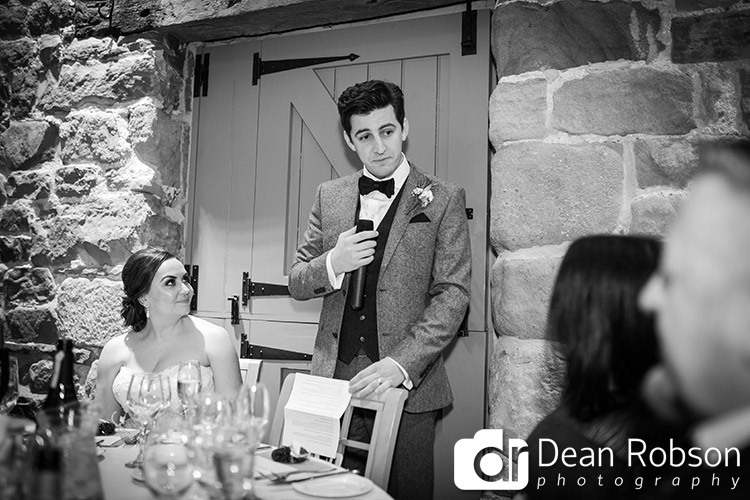 It was time for the speeches followed by the wedding breakfast in the East Barn. 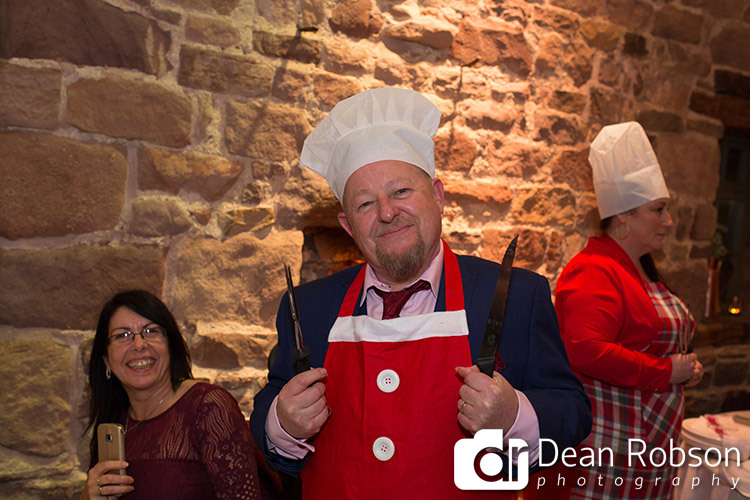 Each table had a nominated guest as a carver with outfits supplied. 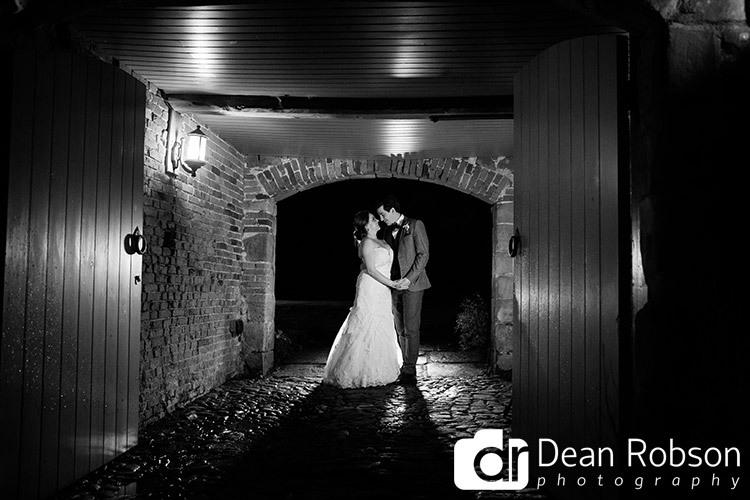 We went for some night shots, with the aid of some off camera flash and lighting. 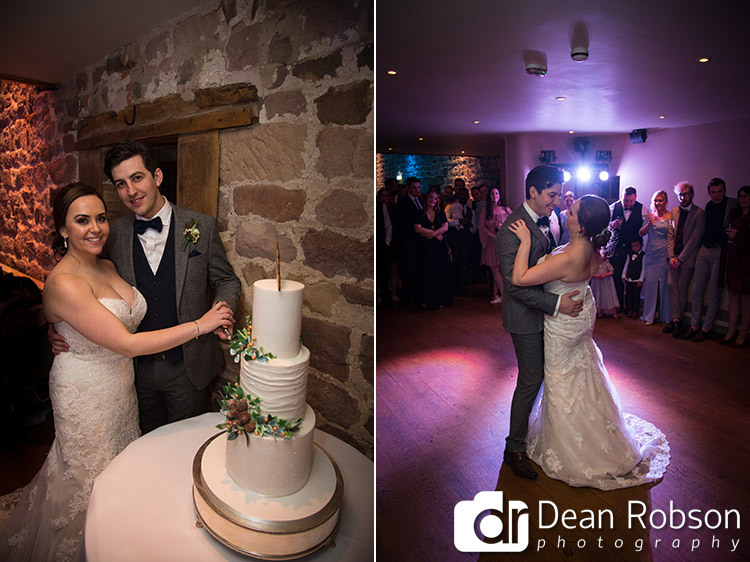 The couple then cut their cake and had their first dance with music and entertainment provided by The Chaperones (http://thechaperones.co.uk). 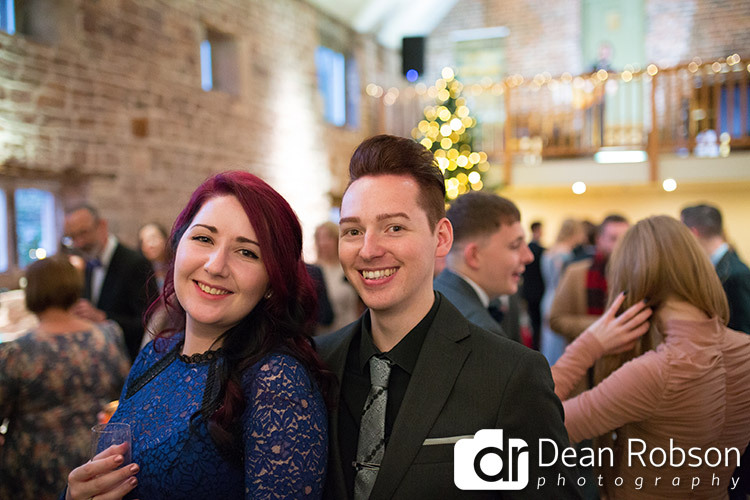 There was also a photobooth picture mirror. 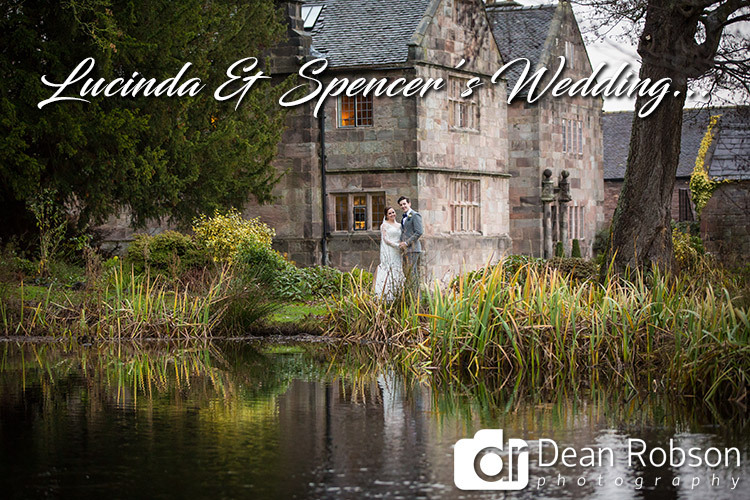 I had an amazing time with Lucinda and Spencer and it was a real Christmas feel to the day. 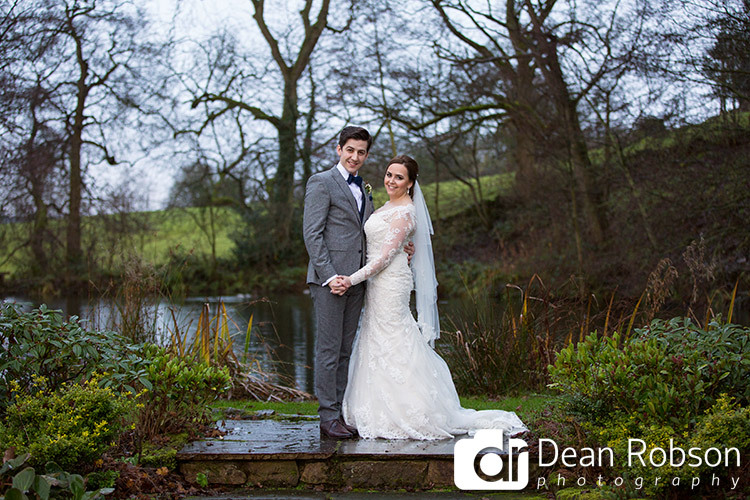 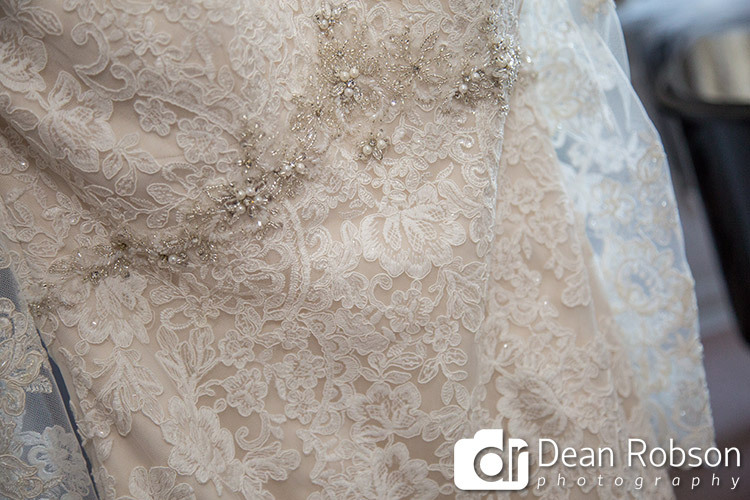 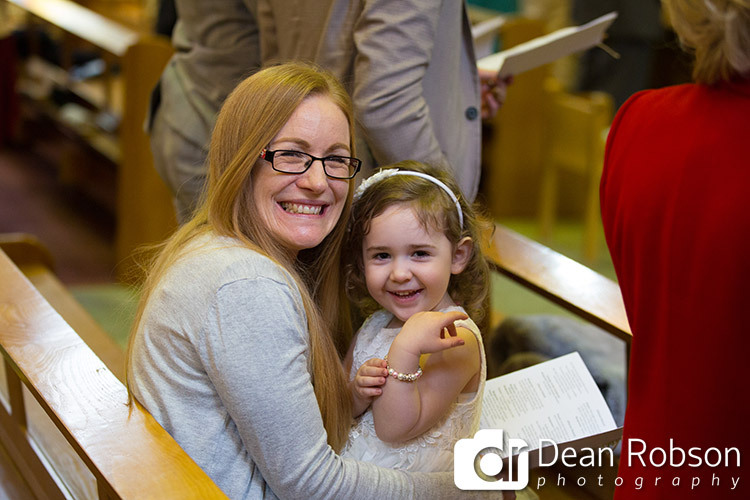 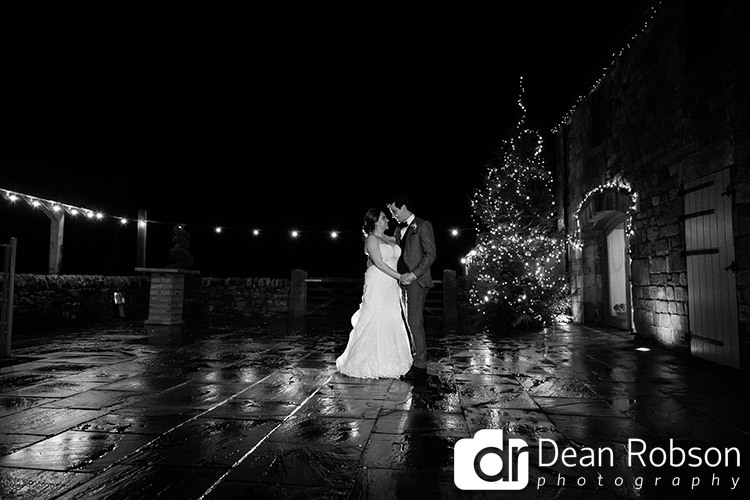 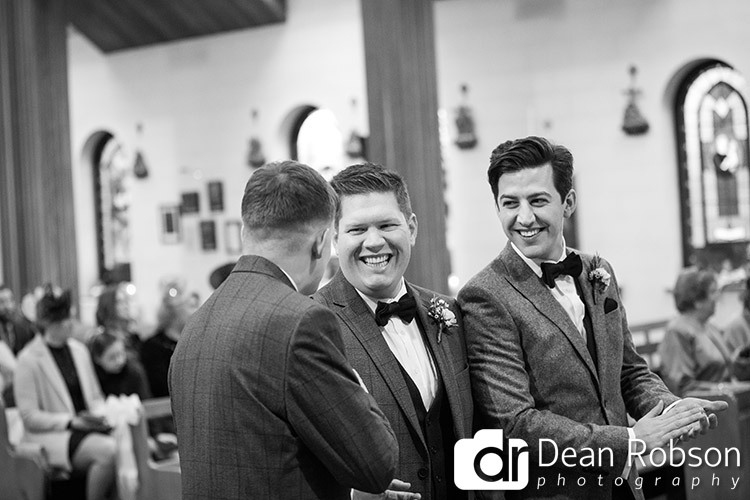 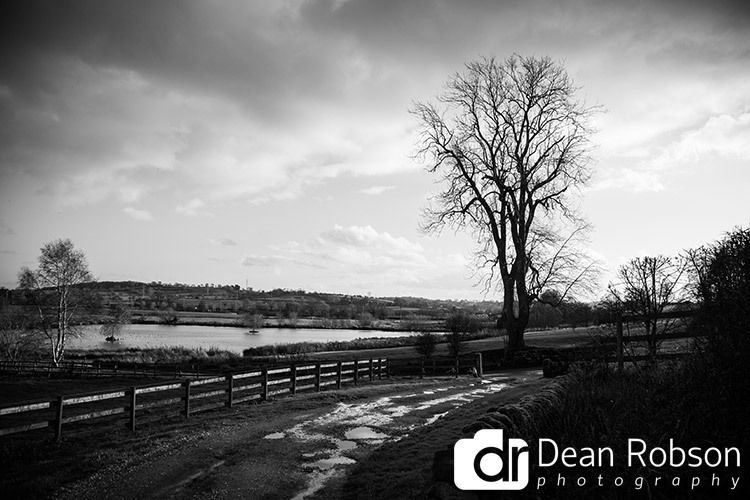 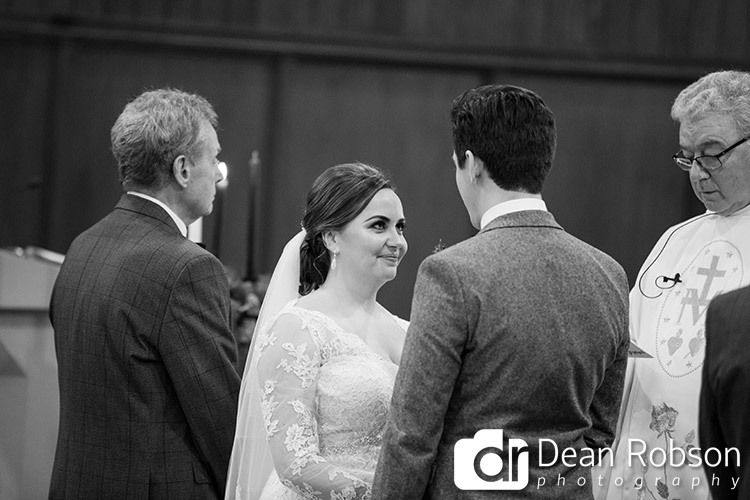 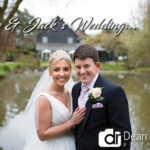 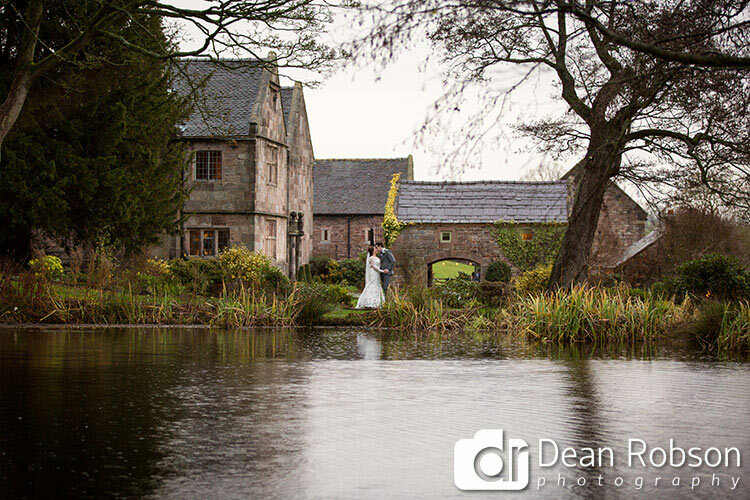 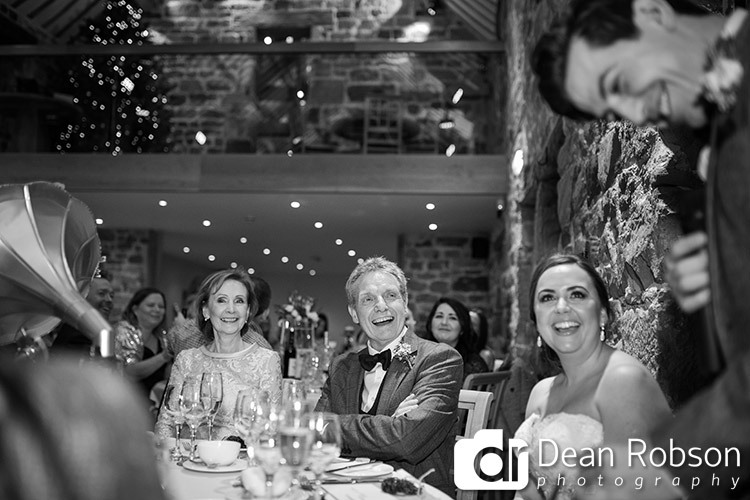 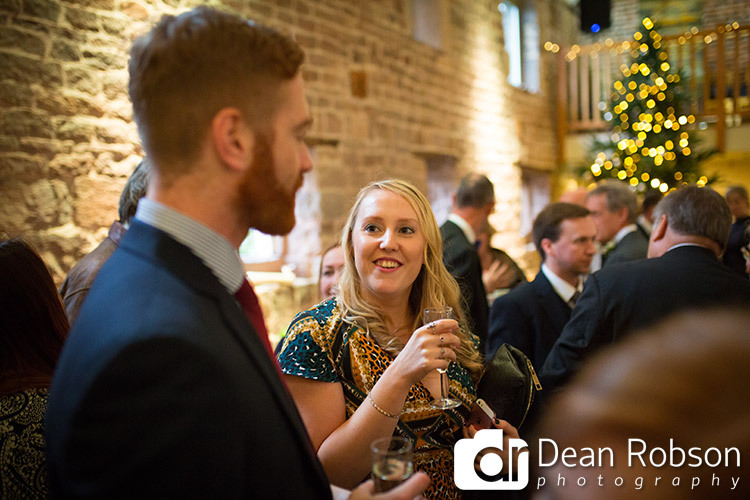 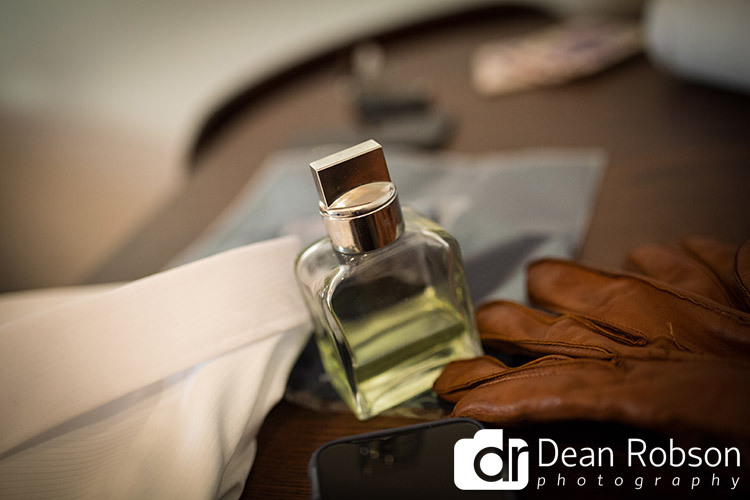 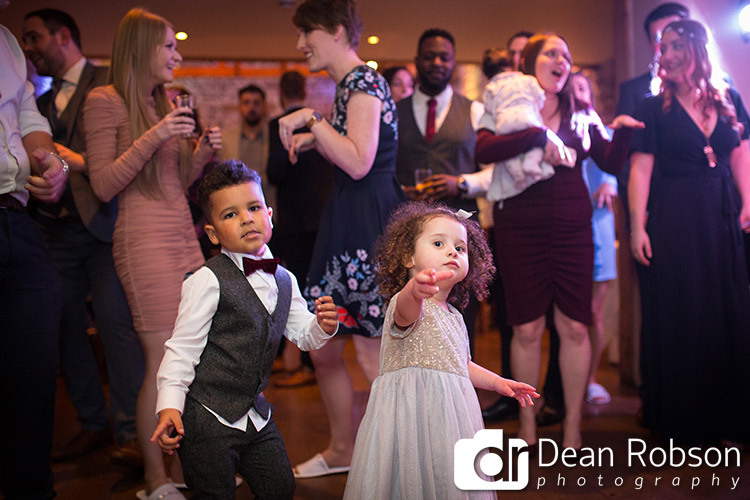 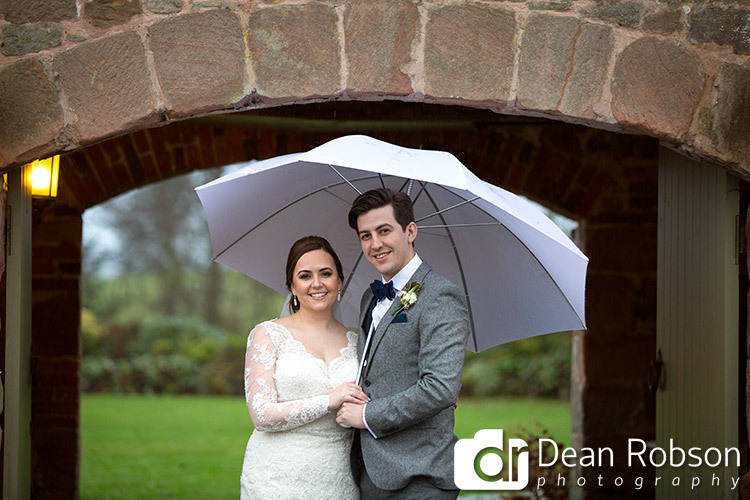 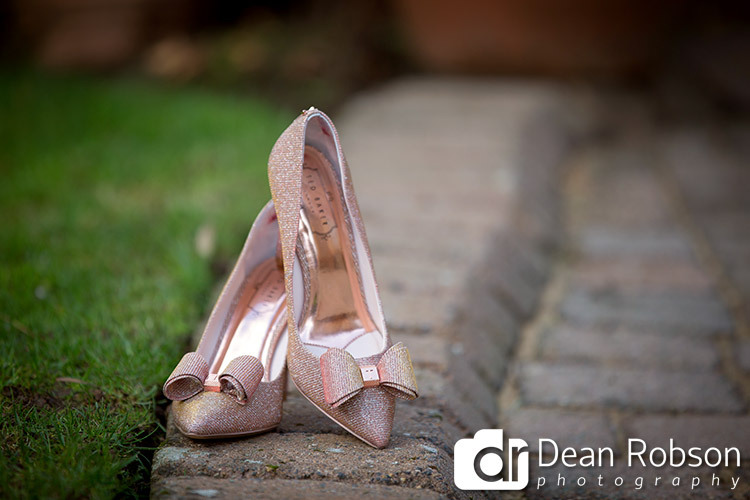 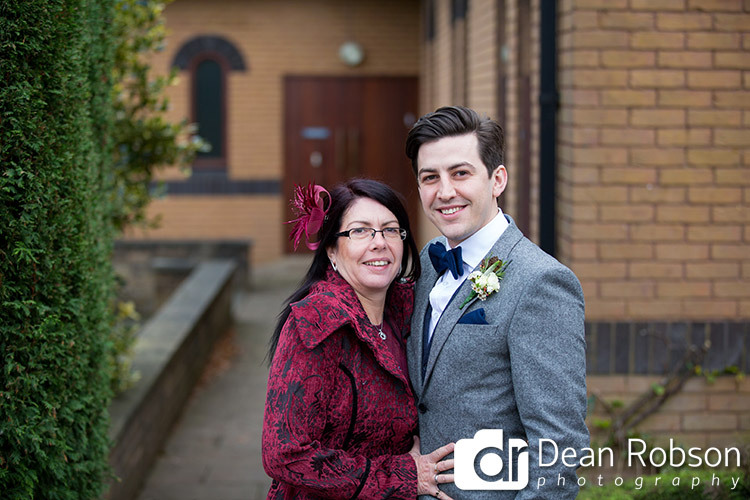 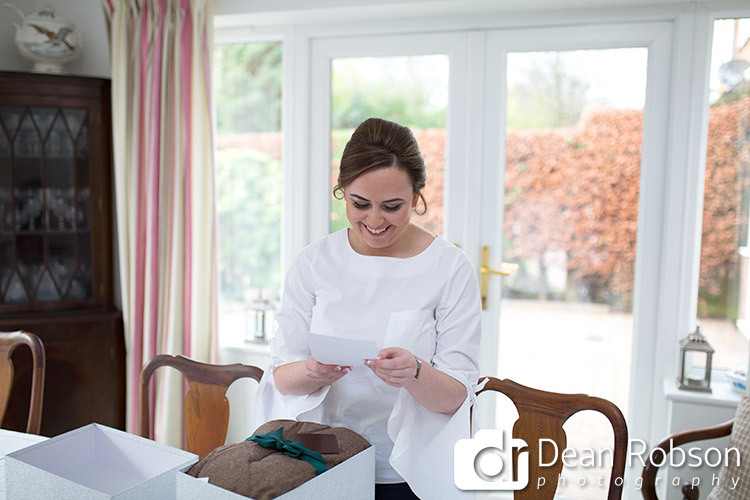 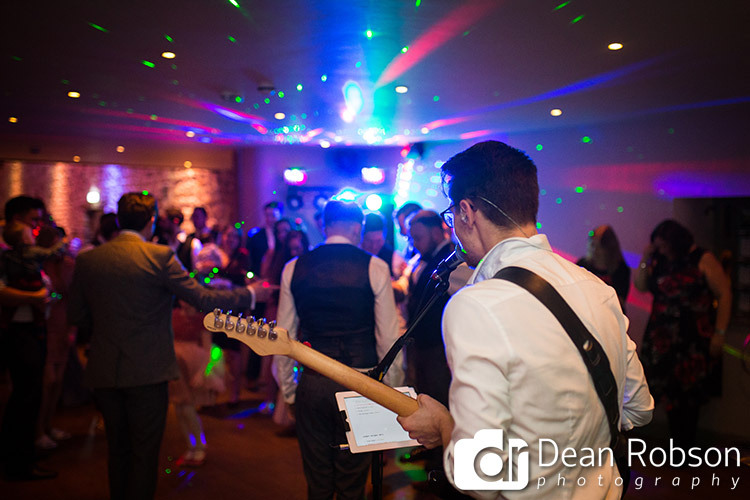 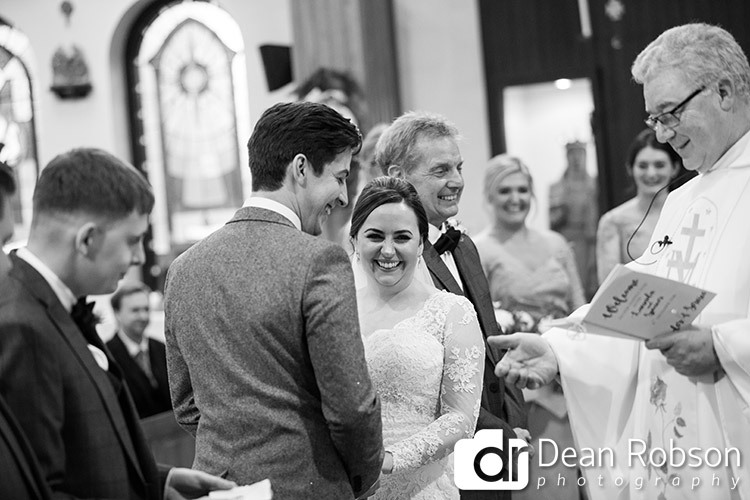 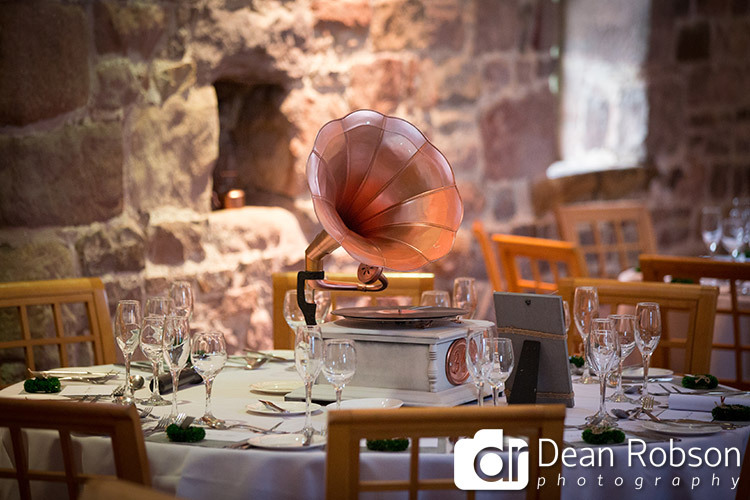 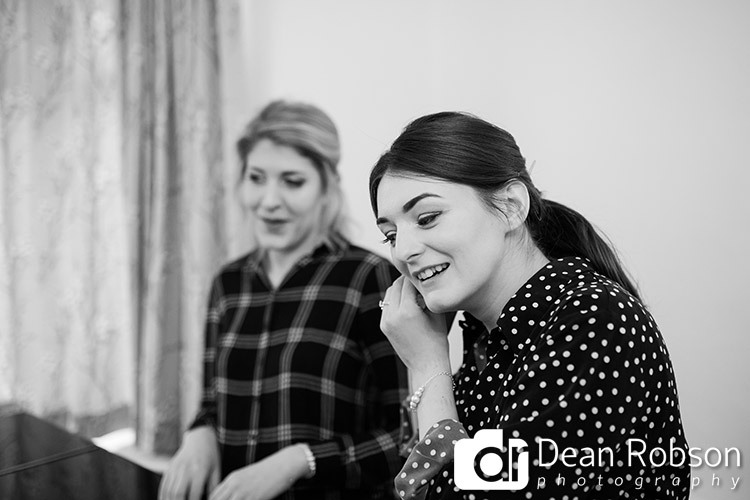 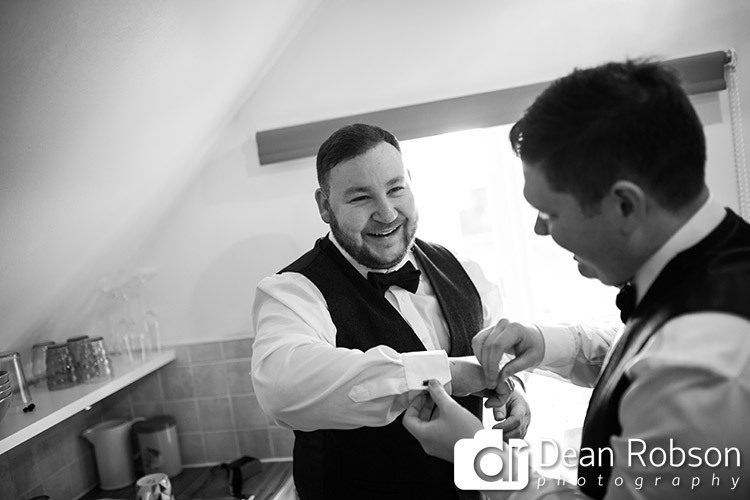 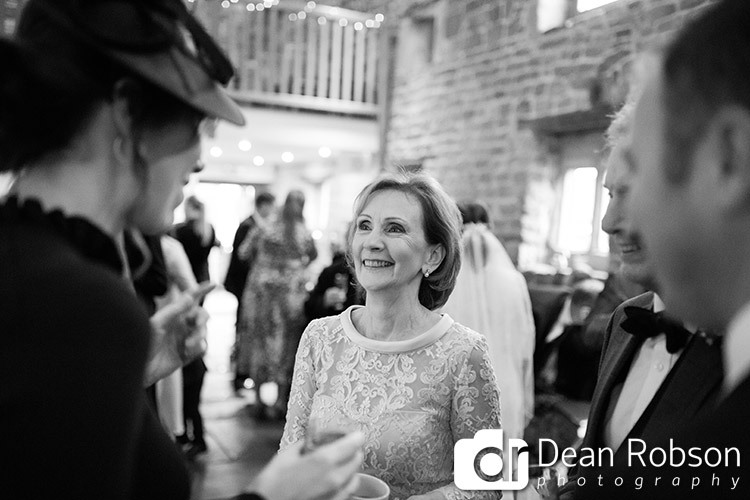 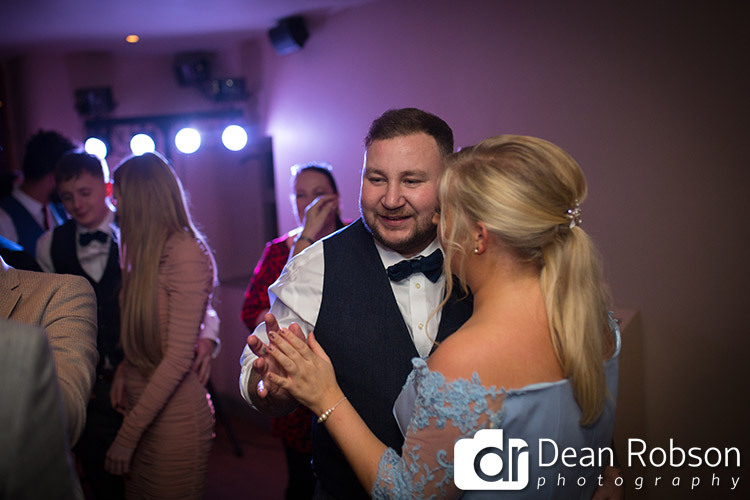 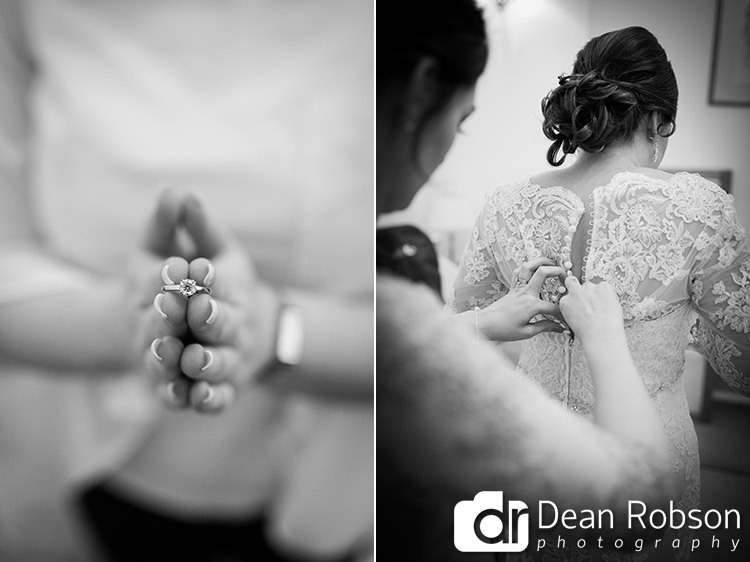 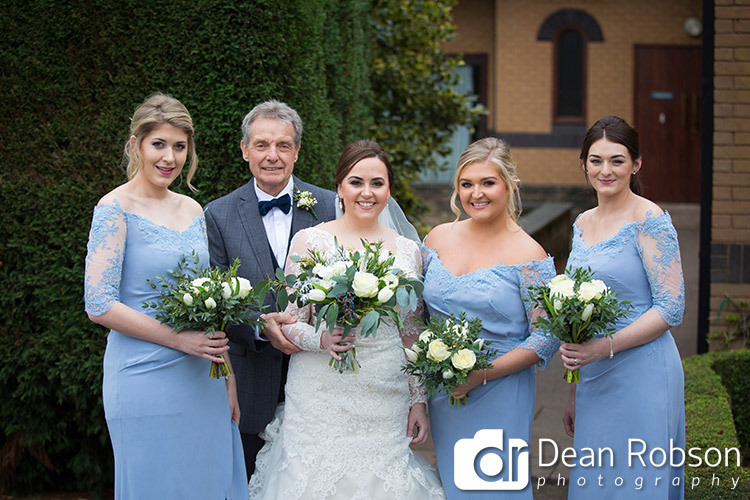 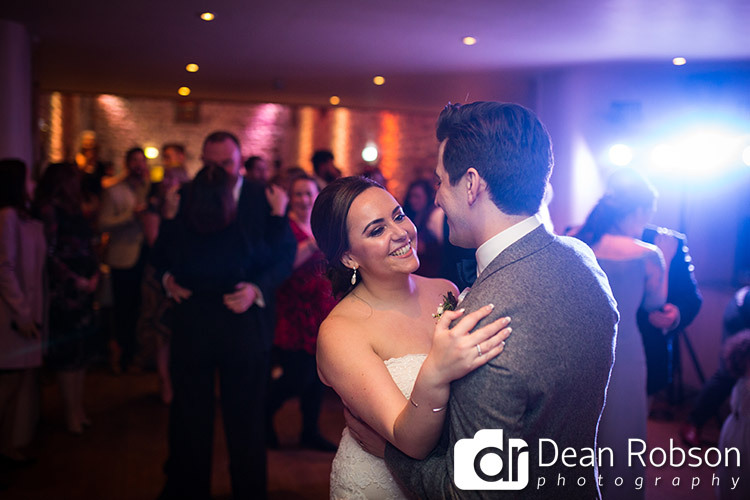 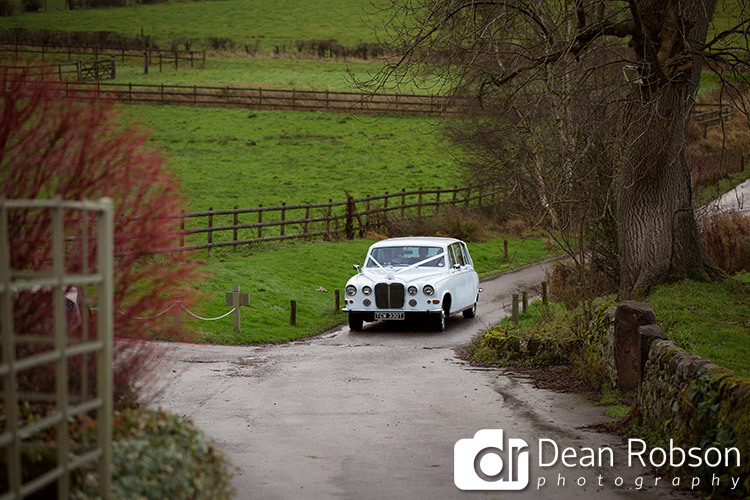 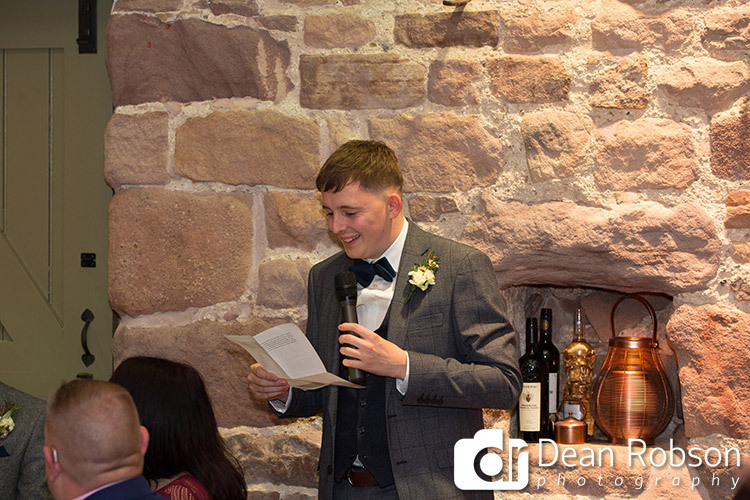 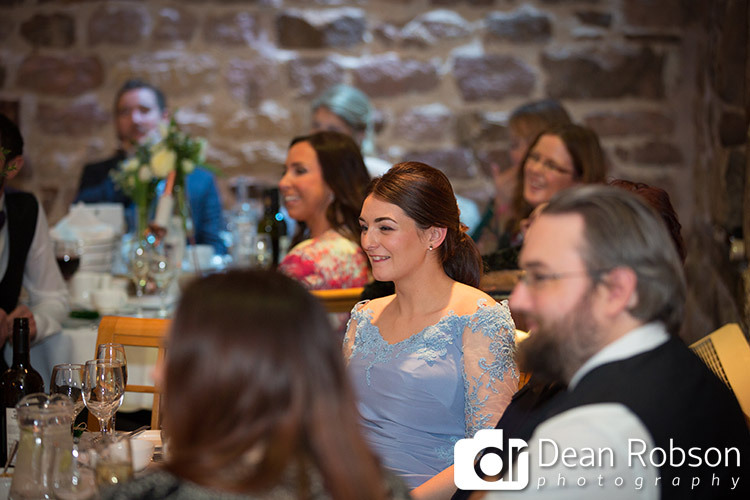 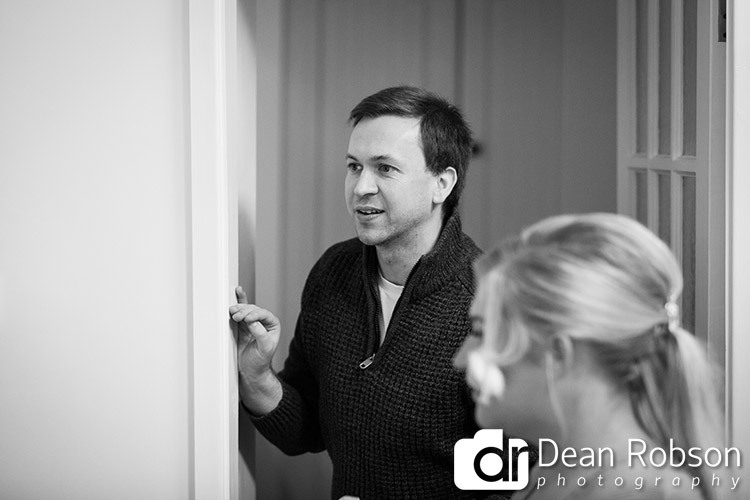 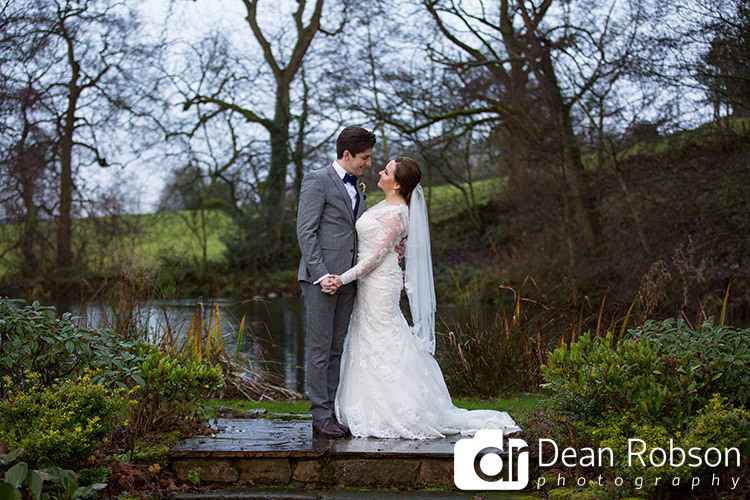 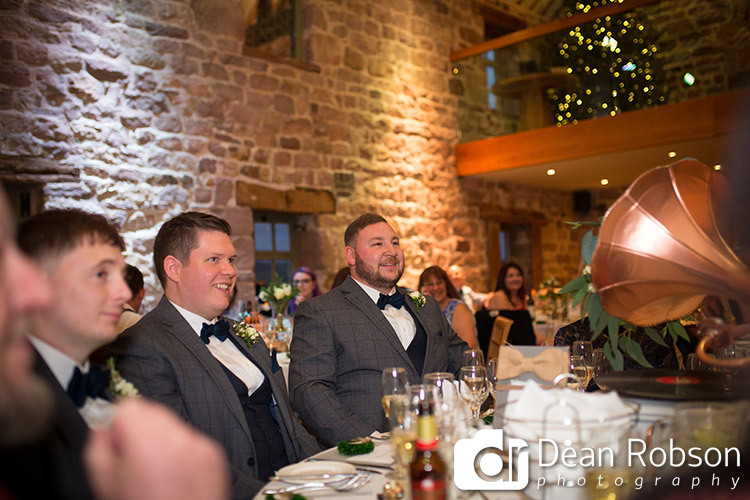 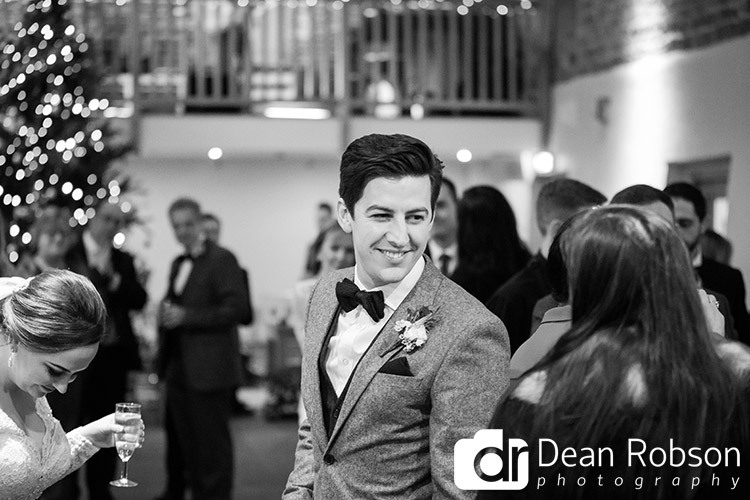 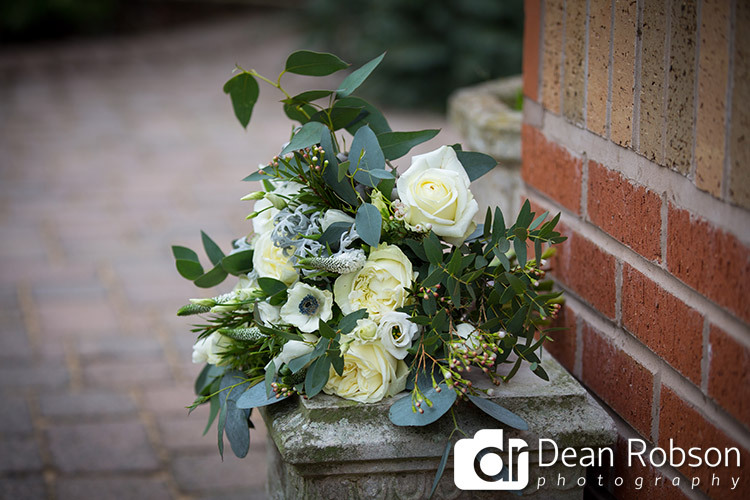 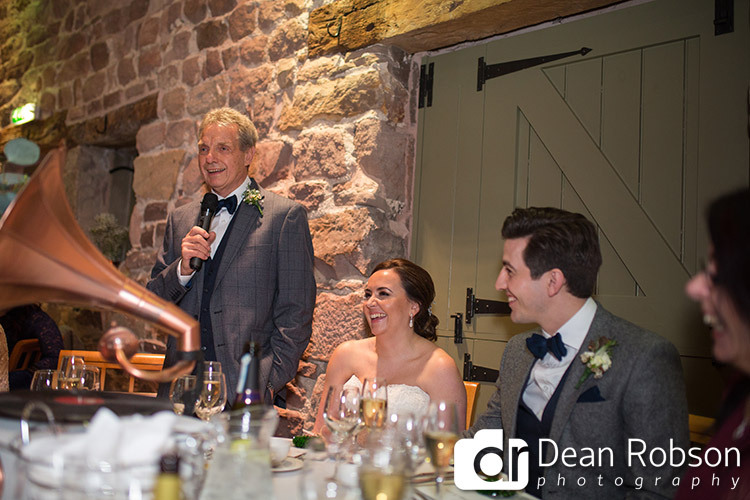 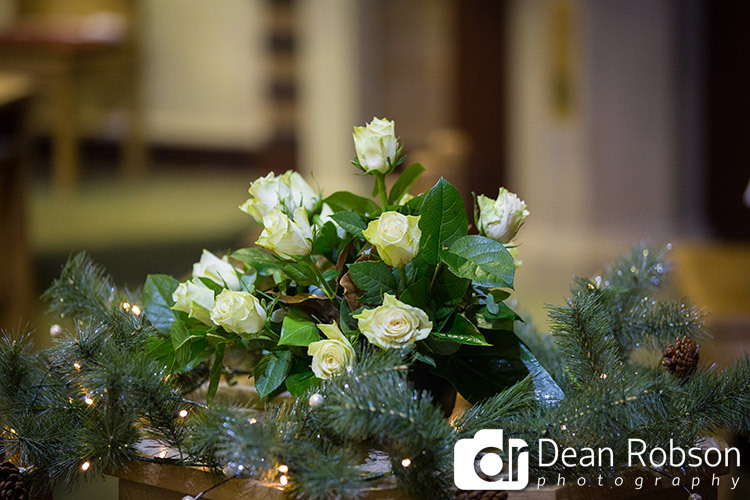 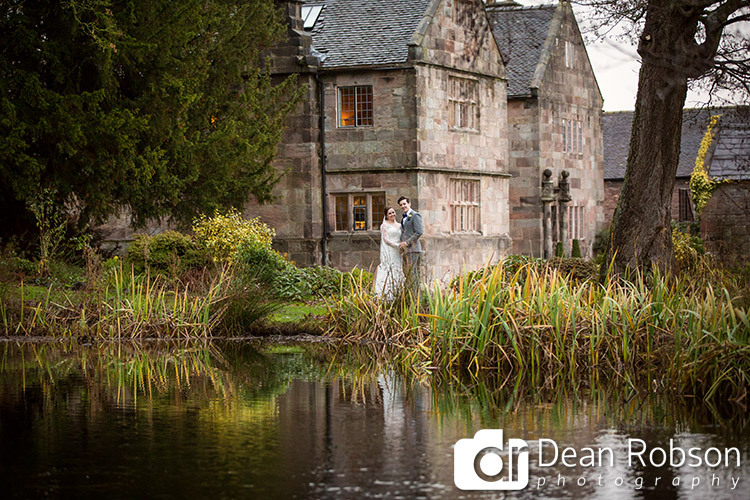 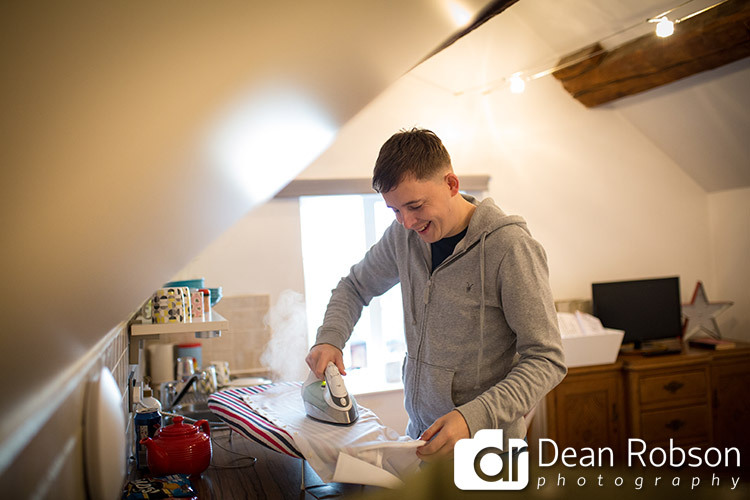 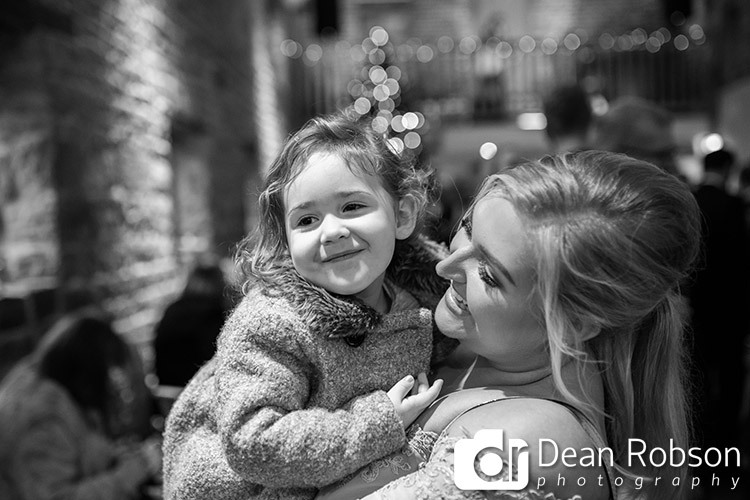 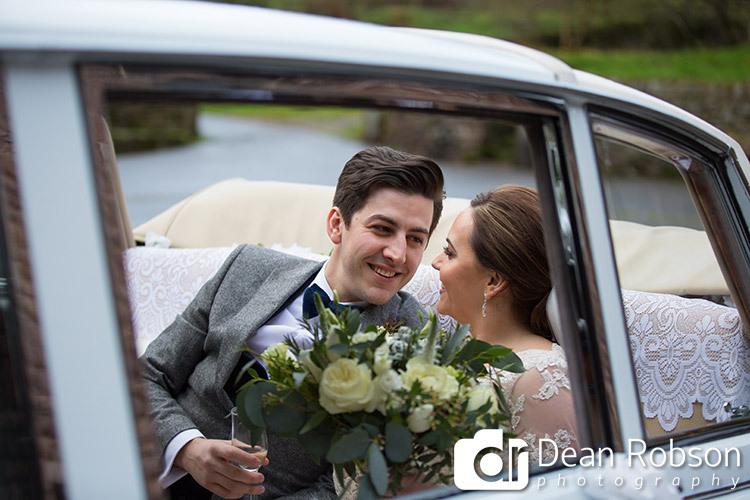 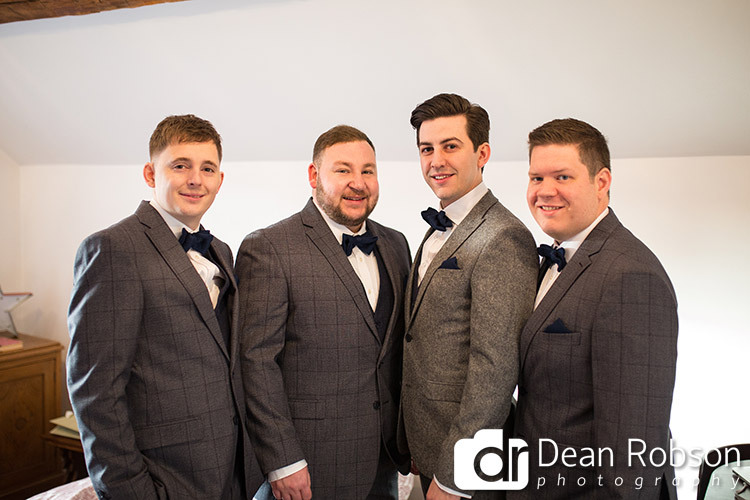 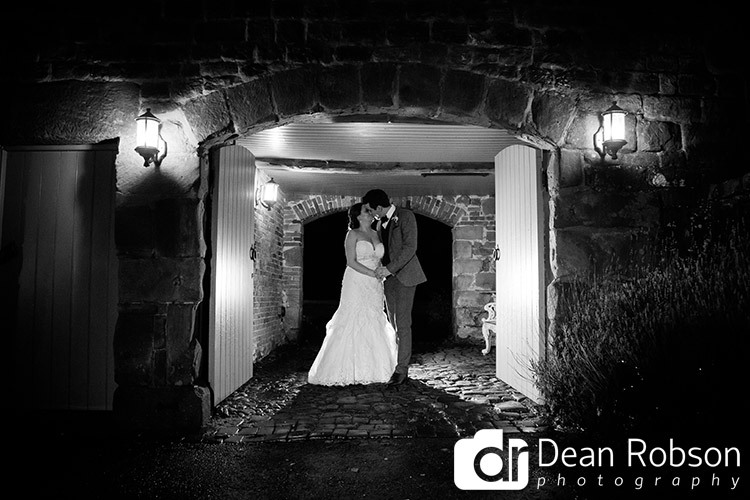 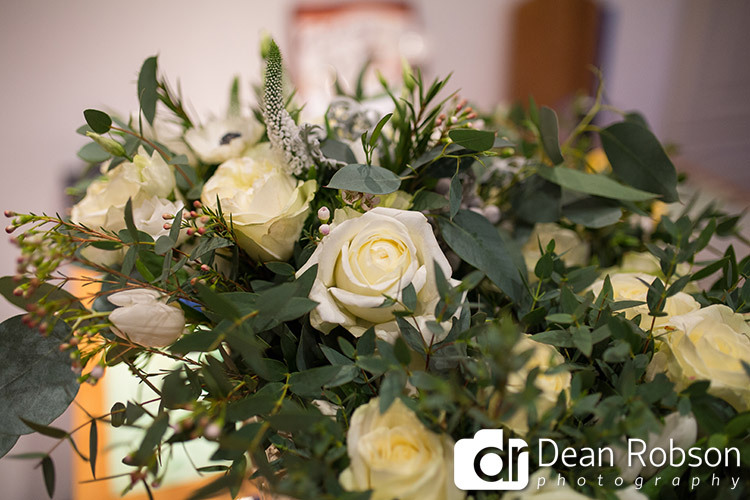 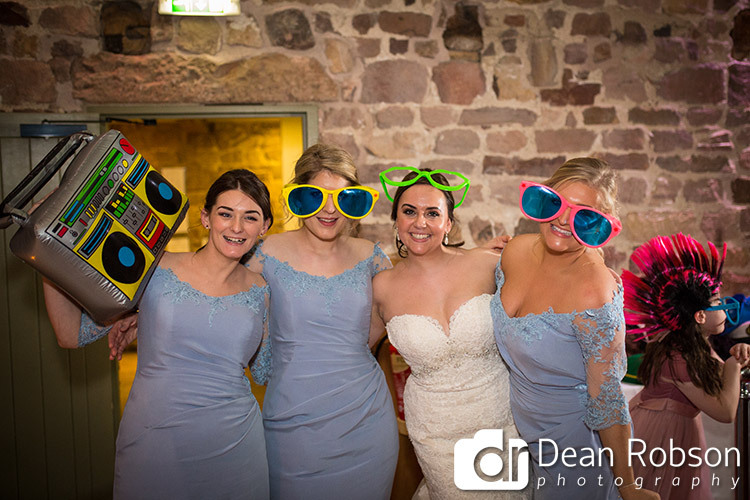 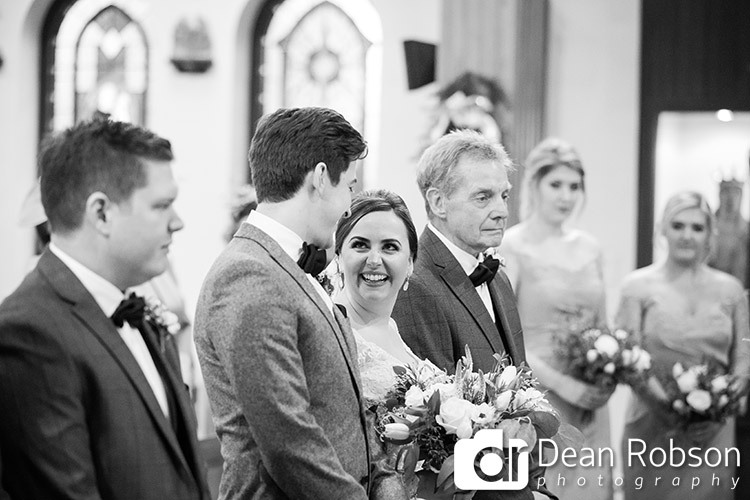 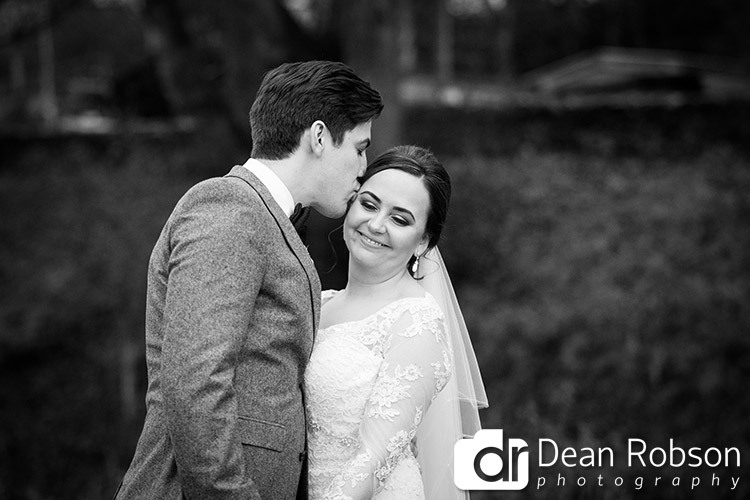 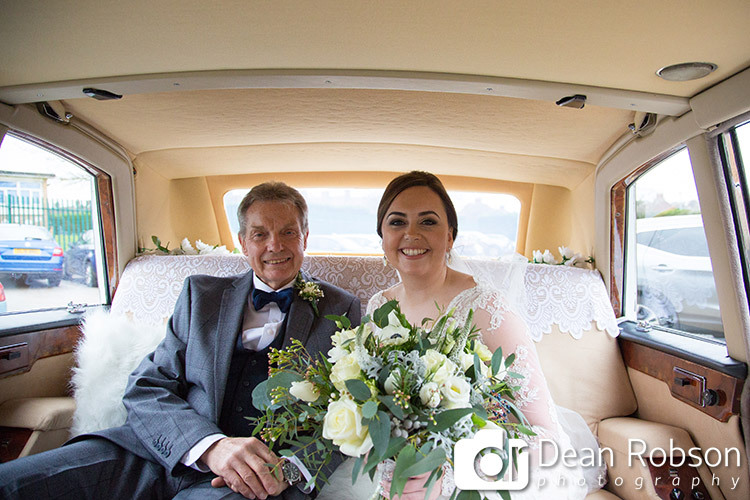 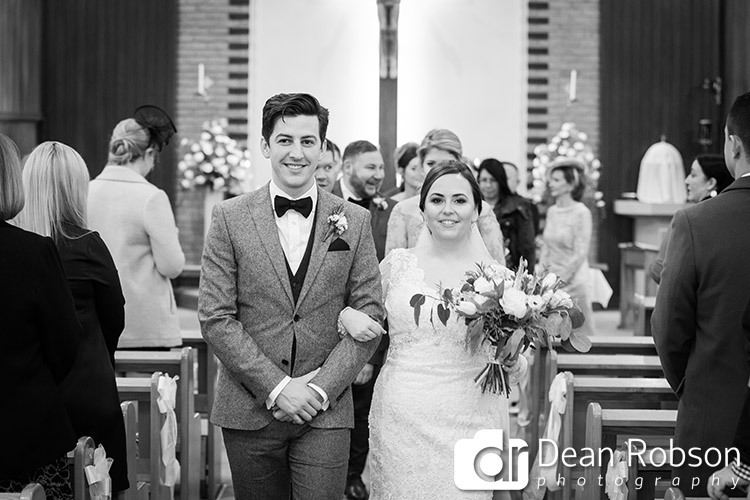 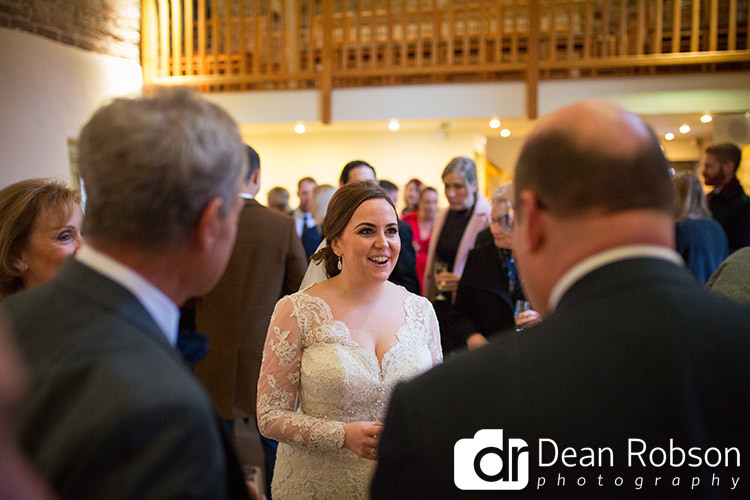 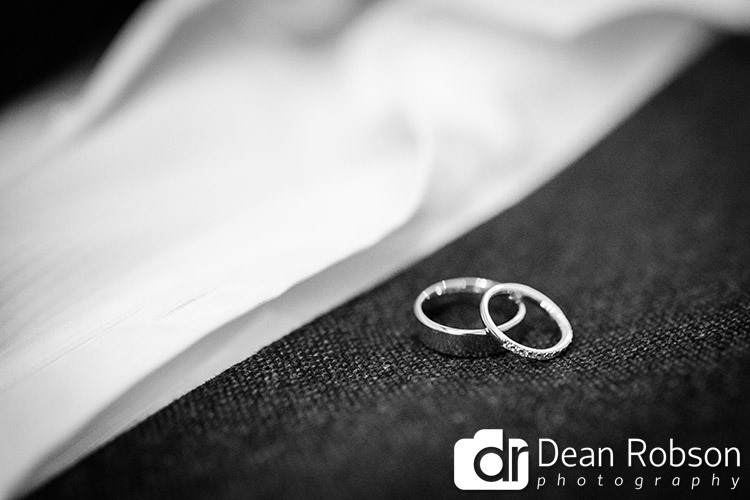 By Dean Robson (Blog feature written December 2018) – Qualified and Professional Wedding Photographer based in Sawbridgeworth – The Ashes Barns Endon Wedding Photography by Dean Robson Photography Natural Wedding Photography.